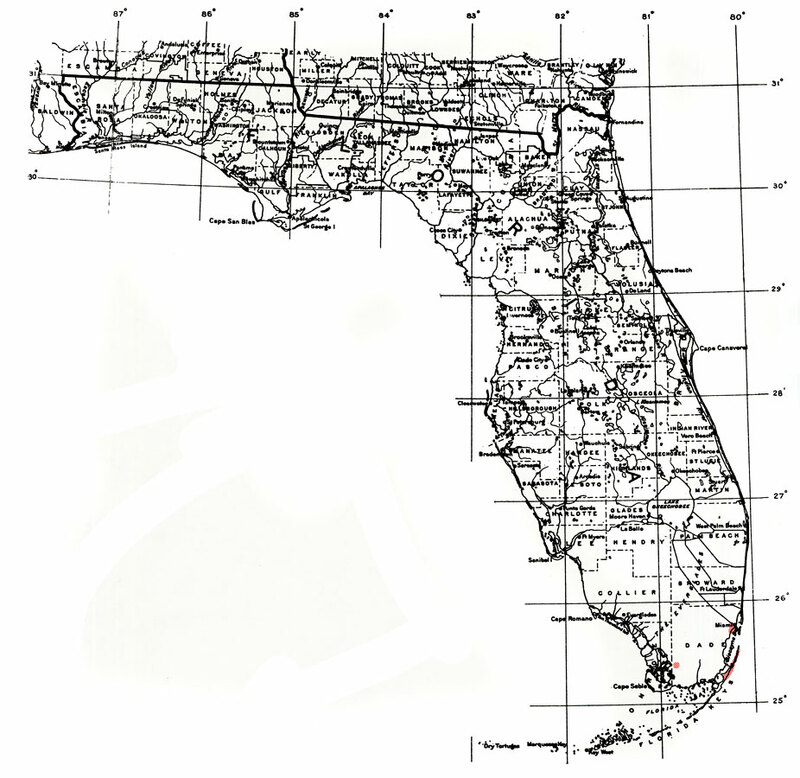 Description: This is a map showing the distribution of the Eugenia confusa or redberry stopper in Florida. "Local in s. Florida (s. Dade Co.) incl. northernmost Upper Fla. Keys, Bahamas, Greater Antilles incl. P.R., Guadeloupe, Dominica, and Trinidad." —Elbert L. Little, Jr. For more information, read the introduction to the Atlas of United States Trees Vol. 5 Florida.